If you’re like me, you regularly do research on the Internet, ranging from in-depth research on Lexis or Westlaw, to pulling statutes from Virginia’s Legislative Information System (LIS) or Virginia Decoded, to searching other online databases and sites. 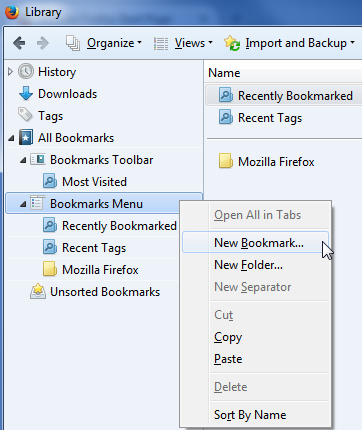 Modern web browsers allow users to create custom “search engines” (or special bookmarks that function like search engines) that can be used to quickly perform searches on specific websites. 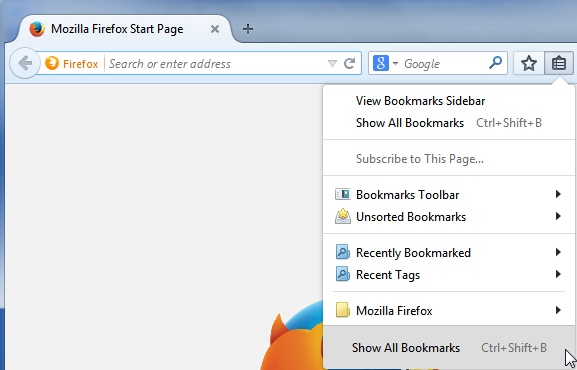 Once configured, the user can search the specific website by typing the selected keyword into the browser’s address bar, followed by a space, and then the search term. 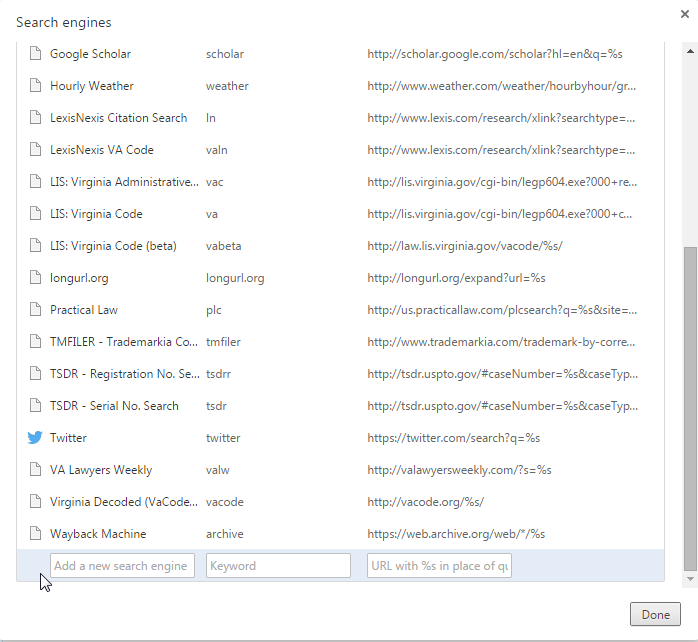 For example, I have configured a custom search engine for the Virginia LIS website so that I can type va 13.1-782 into my browser’s address bar to immediately retrieve that statute. Description: This will retrieve the specified statute from the Virginia Decoded website. To learn more about the Virginia Decoded website, see Vaden Warren’s Sept. 18, 2014, Tech Tip. Description: This will search the Internet Archive’s Wayback Machine for the specified website. For example, use archive vba.org to see historic versions of The Virginia Bar Association’s website. 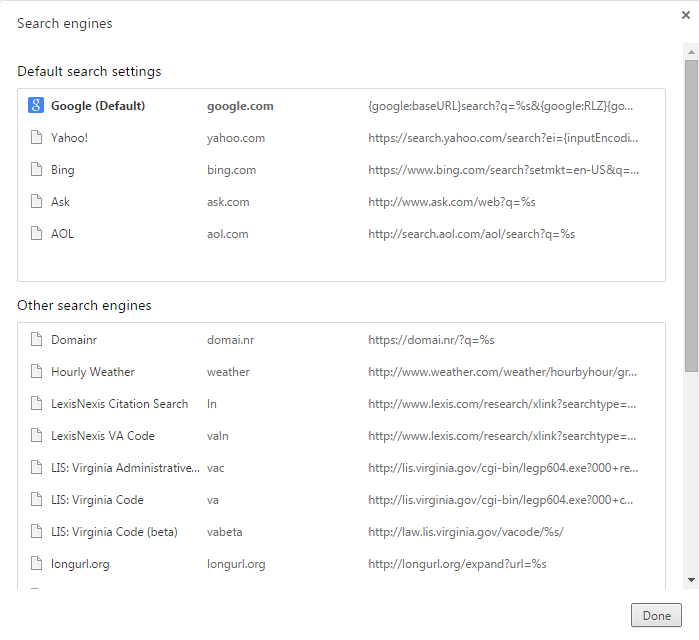 To create or install a custom search engine, you will need to supply three pieces of information: (1) a name for the search engine (it can be whatever you want), (2) a keyword or shortcut to reference the search engine, and (3) the URL used to perform the search. 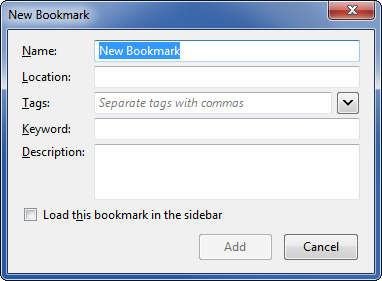 When using a custom search engine, the text that you type into the address bar will replace the %s placeholder in the search URL. 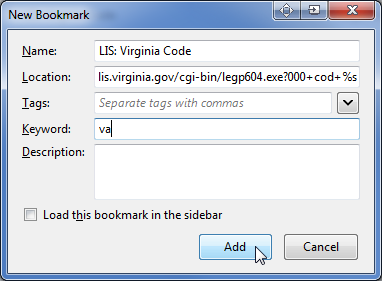 For example, the URL used to create the Virginia LIS custom search engine mentioned above is: http://lis.virginia.gov/cgi-bin/legp604.exe?000+cod+%s, and when I type va 13.1-782 in the address bar, my custom search engine converts that to: http://lis.virginia.gov/cgi-bin/legp604.exe?000+cod+13.1-782. 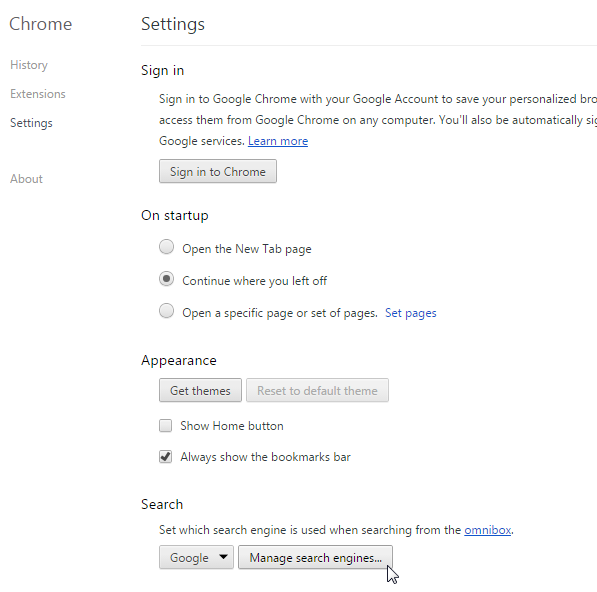 Thus, you can often “reverse engineer” the appropriate custom search URL by performing a search on a website, and then copying that URL and replacing your search string with %s. Andrew B. Stockment is an attorney with Lenhart Pettit in Charlottesville, Virginia, where he practices in the areas of intellectual property, technology, securities and private equity, and business law. He serves on the Law Practice Management Division Executive Council and the Intellectual Property and Information Technology Law Section Council as the YLD Representative. He also serves on the VBA Young Lawyers Division Executive Committee. You can follow Andrew on Twitter @AndrewStockment.